Major fights are afoot in the ruling structures of this country. We must not be passive – we must act to assert the interests of the people of the world. No one will do this but us! 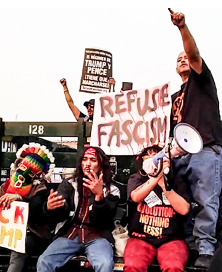 Give today to RefuseFascism.org because fascists don’t just resign. They must be driven from power by the actions of the people. 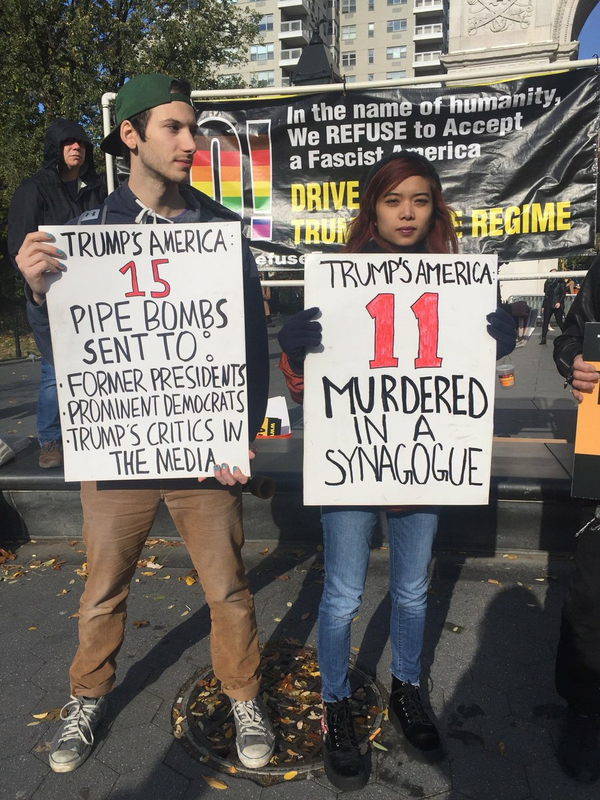 * project the demand #TrumpPenceMustGo across the country, on lawn signs in the suburbs, stickers plastered across the campuses, banners dropped on highways, in major newspapers, in social media feeds, and through creative non-violent civil disobedience. * continue to mobilize even more powerful rapid response teams taking action against the latest outrages, building strength for sustained mass non-violent resistance around the single unifying demand that this regime must go. * sustain the national office and nerve center for this movement, to organize and lead our chapters, to reach out to broader forces from all walks of life, and to publish and promote the diverse and incisive voices on our website who penetratingly analyze the danger we face and point to openings, and to ways we can act together to end this nightmare. 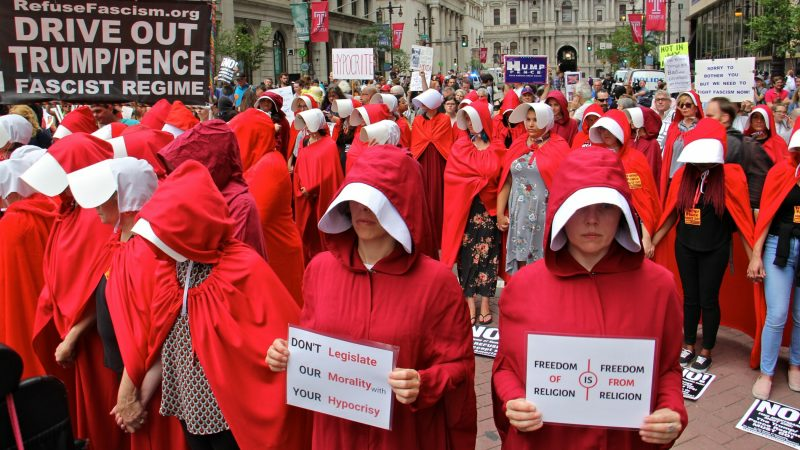 The Trump/Pence regime poses a shocking danger to lives here and around the world – and to the planet itself – and therefore history is calling you. Answer the call today by donating to support the fight to change the future for billions around the globe by driving out the fascist Trump/Pence regime. Only Refuse Fascism has as its mission bringing forward thousands and eventually millions in this country to assert the interests of the people of the world through our struggle out in the streets. Only by acting in this way – from below and by relying on ourselves – can wrench a positive future out of the nightmare of fascism currently being bludgeoned into place. Instead we must take responsibility ourselves, acting in fierce and sustained opposition outside the confines of politics as usual. A truly sustained, mass non-violent political protest could create a political crisis in which sections of those now in power, who are themselves under attack by this regime while also conciliating with it, could be compelled to act to remove this regime from power. This IS possible, but it can only happen with your involvement and support! Why Give to Refuse Fascism? While the leaders fight among themselves as to the best plan to maintain this insanity, we must all work harder to create a new world. Refuse Fascism is a critical part of that effort.